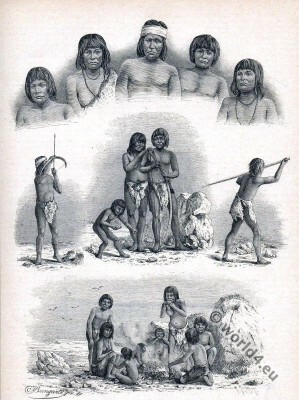 Different types of aboriginal, 19th c..
At the beginning of the 20th century were the original inhabitants of Tierra del Fuego, the Yamana or Yaghan, Haush, Selk’nam and Kawesqar people, almost completely exterminated by white settlers during the colonization. In particular, the guided Conquista del Desierto (Desert conquest) of the later Argentine President Julio Argentino Roca, led to many deaths among the Indian population. Thus has been exposed by a reward of one pound sterling per head price for killing of an Indian. The London Museum of Anthropology paid even up to eight pounds sterling for the head of a fire lander. This led to downright hit squads chasing the indigenous peoples. 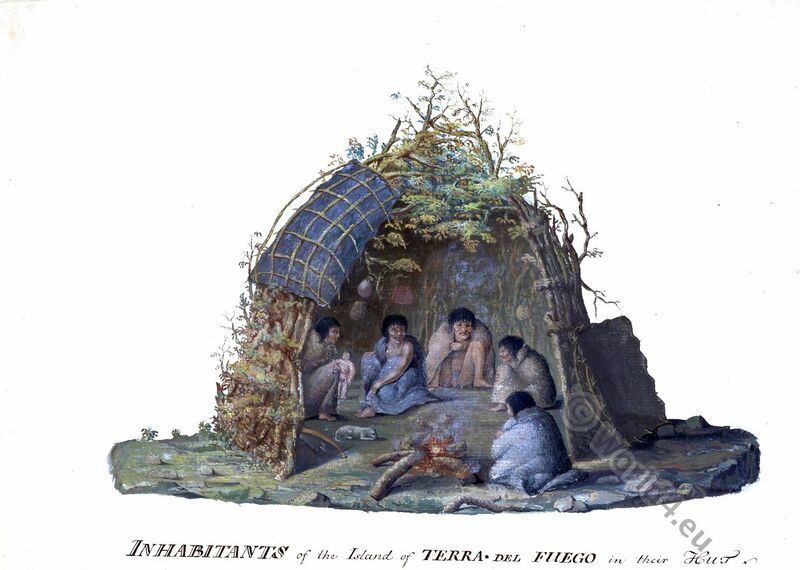 Inhabitants of the island of Tierra del Fuego, in their hut, by Alexander Buchan, January 1769. Not without influence on these developments and their justification was a description of the indigenous peoples by Charles Darwin. Darwin described the Fuegian as the “contemptible and miserable creatures I have ever encountered.” Next: “As soon as you can get through to the belief that they are our fellow creatures and inhabitants of the same world… .” Great contributions to the study of the endangered Indian cultures acquired the Austrian clergy Martin Gusinde, who explored the culture of Tierra del Fuego Indians when traveling from 1917. American Native Zuni masks and Ko-ye-me-shi. 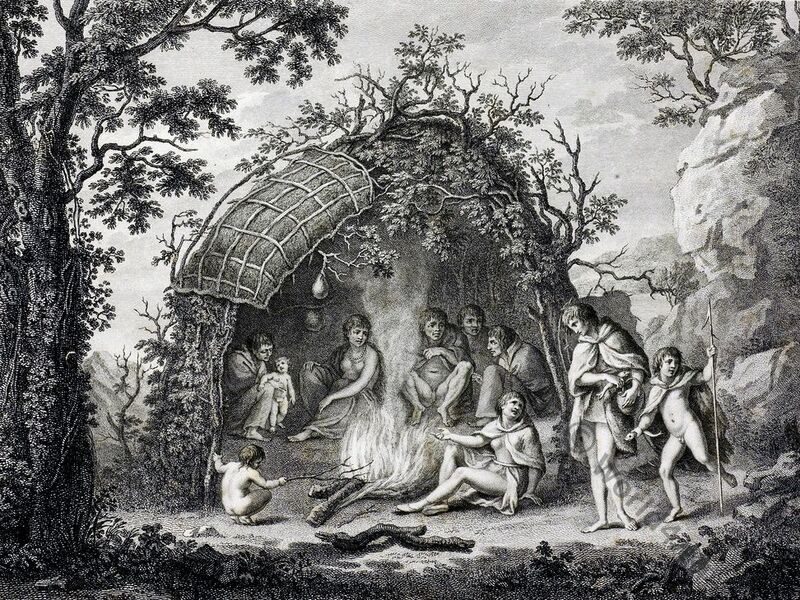 American Natives of North America. (UCLA Latin American Studies) by Johannes Wilbert. Museum für Völkerkunde (Herausgeber), Anne Brüggemann. Taschenbuch – 1989.